The beautiful first Baptist Church, one of the signature buildings of downtown Wakefield, and certainly one of the finest structures in town, is presently on fire. This tragedy to the church’s congregation will be a tragedy to entire Town of Wakefield. In looking into the church’s history, oddly enough, the congregation’s homes have been ravaged by fires on many occasions. 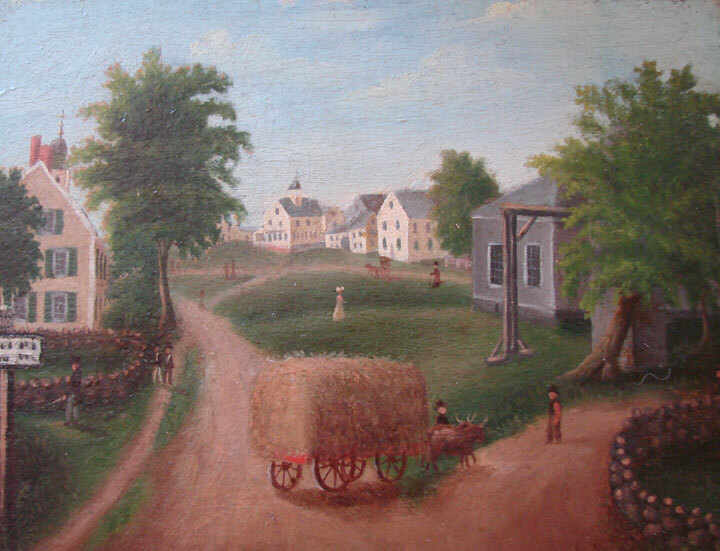 The first church, on Salem Street, dedicated in 1800, was moved to Main and Crescent Streets (site of the Crescent Apartments) and enlarged. This building was destroyed by fire in 1835. A new church, 48 x 68 feet was built on the same site and dedicated in January 1837. In 1871 this building was destroyed by fire. The present building was completed and dedicated on December 11, 1872. We are so saddened for the congregation, and for town of Wakefield — we have lost a beautiful old friend. Prayers for the firefighters and deep condolences for the congregation.